Local ranches put together teams to compete in the Cassville FFA Booster Club’s Buckle Series Ranch Rodeo over the weekend. The rodeo is one of a series of five to take place over the summer. Pictured above, Cotton Reed, of Reed Farms in Exeter, works a calf at the rodeo on Saturday night, May 19. Reed’s team also had members from Mt. Vernon and Washburn. 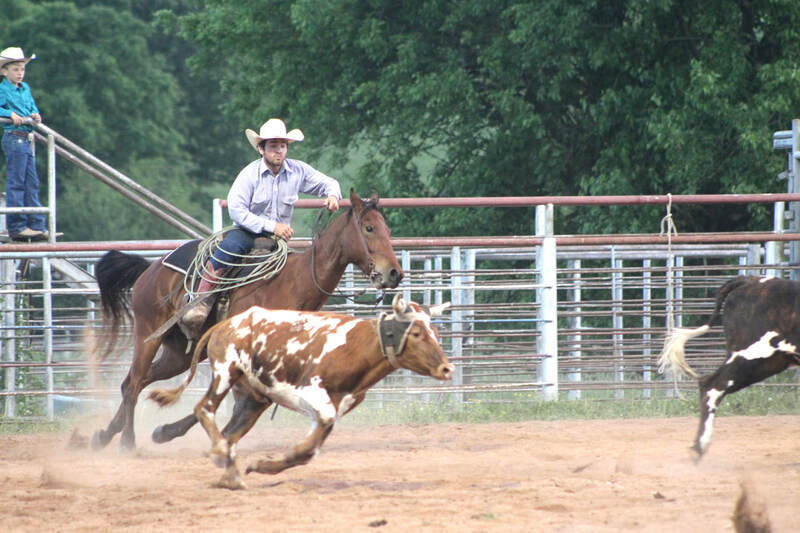 The next Buckle Series Ranch Rodeo will be on June 30 at the Bill Hailey Arena in Cassville at 7 p.m.